MANCHESTER, Mich., October 29, 2013 – Empresas Polar, a leading Venezuelan food and beverage manufacturer, has broken new ground with the commercial launch of the first ambient stored yogurt in Venezuela. The non-refrigerated pourable yogurt, called MiGurt, is packaged in an aseptically filled, 750-gram barrier polyethylene terephthalate (PET) bottle from Amcor Rigid Plastics, the world’s leading producer of rigid plastic packaging. Empresas Polar made its entry into the Venezuelan yogurt market through its subsidiary Pascual Andina and worked with partner Amcor to create a new packaging solution to compete with leading cold distribution channel products. The multi-serve pourable yogurt product has an extended shelf life of six months and requires no refrigeration prior to opening. The extended shelf life enables Empresas Polar to utilize its extensive nationwide ambient distribution chain to reach consumers including low-income regions not served by refrigerated distribution channels. 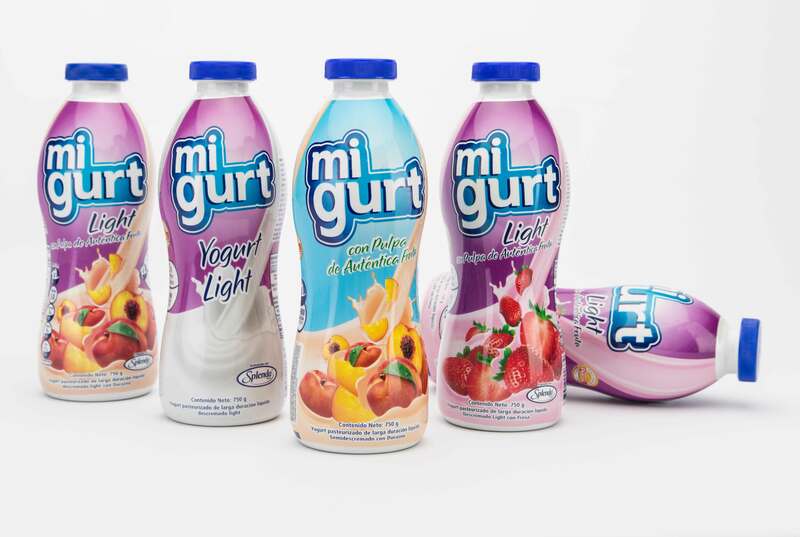 Since its introduction late last year, MiGurt has enjoyed major success with sales exceeding expectations, according to Manuel Capdevielle, a director of Empresas Polar. “A long shelf life yogurt product was a key to commercialization because it provided low-cost distribution and a highly affordable consumer brand,” explained Capdevielle. Amcor played a key role through custom design of its first light-blocking, aseptically filled PET container. Amcor used advanced barrier technology to meet aseptic filling requirements (up to 140°F) and provide light-blocking capabilities to prevent spoilage and degradation of the yogurt product and maintain its nutritional value. Moreover, with no refrigeration required and an extended shelf, there were major logistical advantages in terms of inventory control, distribution, and point of sale, said Mercedes Candedo, Diversified Products manager for Amcor’s Latin American business. “The new barrier PET container represents a major development in ambient foods, offering a unique packaging solution that opens up new business opportunities in the food and beverage market,” said Candedo. Amcor met Empresas Polar’s barrier requirements while also incorporating a unique hour-glass design that minimizes resin use by optimizing PET material distribution throughout the container. “Uniform material distribution is vital for effective light-blocking performance,” explained Chris LaBombarbe, senior technical manager for Amcor Rigid Plastics. Through a unique preform design, Amcor was able to achieve optimum material distribution. “A uniform material distribution permitted us to achieve sustainable material use while at the same time maintaining light-blocking integrity,” said LaBombarbe. Amcor also overcame processing challenges due to the bottle’s highly white pigmented, opaque structure by adapting special re-heat technology, according to LaBombarbe. Meanwhile, the bottle’s design elements were maintained and optimized while meeting aseptic fill demands. Design considerations were made to maintain a smooth interior profile which facilitated the aseptic sterilization process. The barrier PET container features a single-lead 38mm finish with a foil induction seal and is wrapped with a vibrant shrink sleeve label. 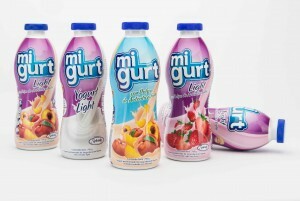 Empresas Polar plans to expand the family of MiGurt yogurt with single-serve 100-gram and 250-gram products, according to Capdevielle. In the meantime, the company is ramping up production of its 750-gram product to meet rapidly growing demand in Venezuela. Polar Empresas Polar is a leading Venezuelan industrial corporation with 70 years of history. Its subsidiary, Pascual Andina, is a joint venture of Empresas Polar and Grupo Leche Pascual of Spain. Empresas Polar’s activities are centered on the food and beverage sector which has gained strong consumer loyalty and allowed Espresas Polar to achieve market leadership through a diversified portfolio of products, categories, and brands. The corporation consists of three businesses: Cerveceria Polar CA, Alimentos Polar CA, and Pepsi-Cola Venezuela CA. For more information, visit www.espresas-polar.com. Amcor Rigid Plastics is among the world’s largest manufacturers of plastic packaging for the beverage, food, spirits, personal and home care, and pharmaceuticals industries with 66 facilities in 12 countries. Amcor Limited is a global leader in responsible packaging solutions, employing more than 35,000 people worldwide, operating in 43 countries across 300 sites. Amcor supplies a broad range of plastic (rigid and flexible), fibre, metal, and glass packaging solutions to enhance the products consumers use in everyday life. Amcor also provides packaging-related services that help customers succeed through collaboration and innovation driven by art and science. Amcor is headquartered in Melbourne, Australia, and is listed on the Australian Securities Exchange. For more information, visit www.amcor.com.